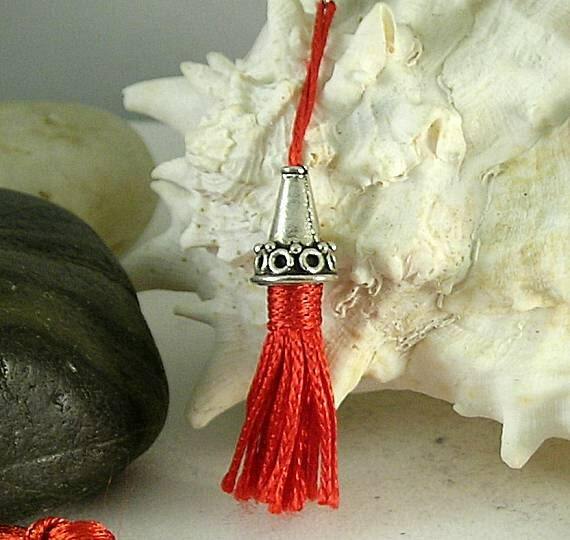 This paternoster has a 16x10mm antiqued sterling silver cone with red tassel one one end. 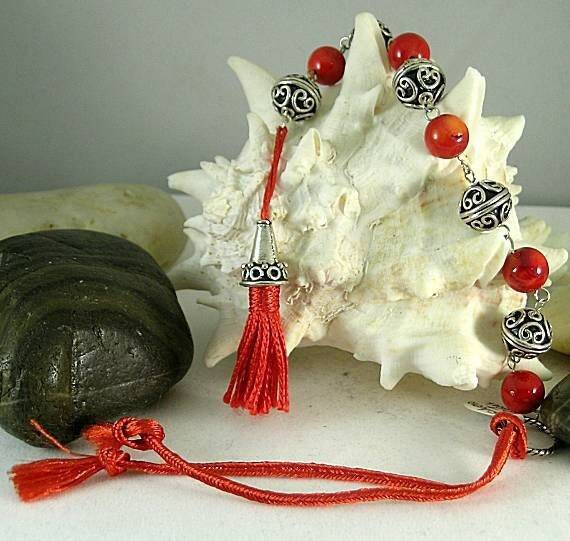 The cone topped tassel is attached to ten beads that alternate between five ornate 12mm antiqued sterling silver beads and five 10mm red bamboo coral beads. 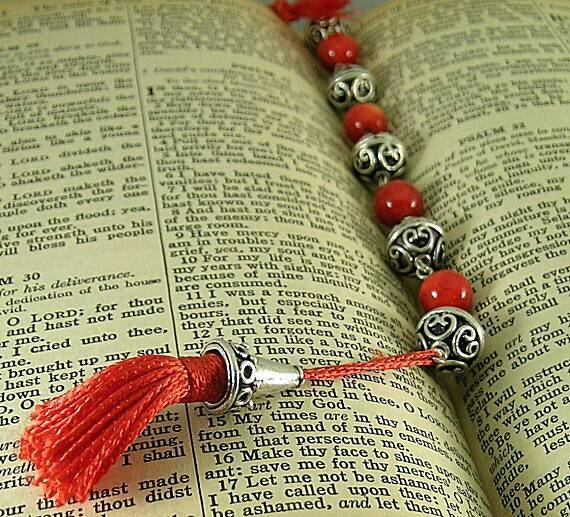 Beads in this arrangement were often used to alternate the Hail Mary with the Lord's Prayer. 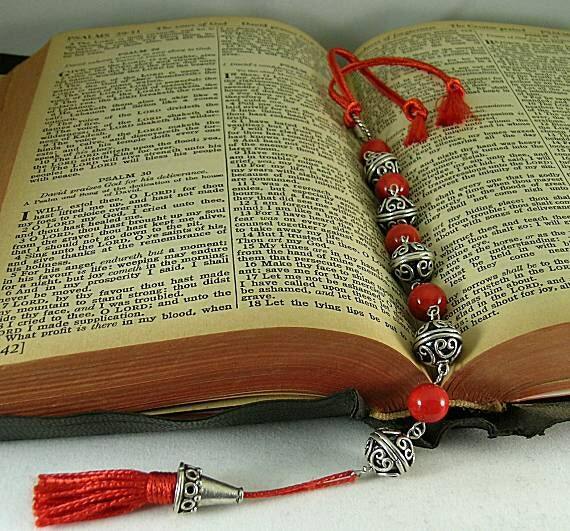 Mary, Queen of Scots had a rosary with alternating beads. 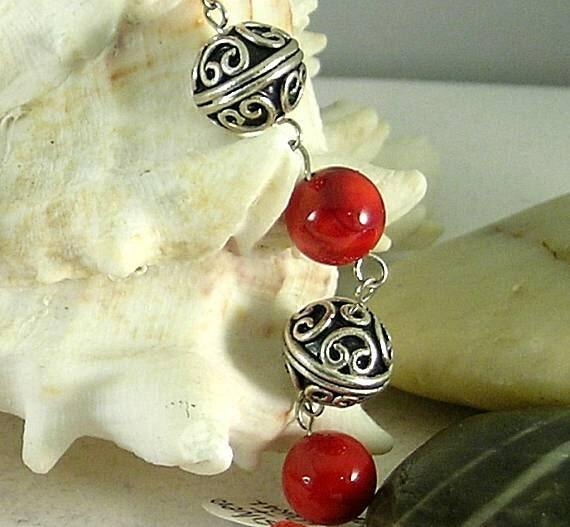 The earliest rosary with this bead arrangement is in a museum in Huy, Belgium which dates to c. 1250-1300 AD.